Look after 150 animals on secluded ZooMoo Island. Care for your animals by feeding their favourite foods, keep animals clean, watch 150 real life videos, learn animal names and sounds… and take photos! 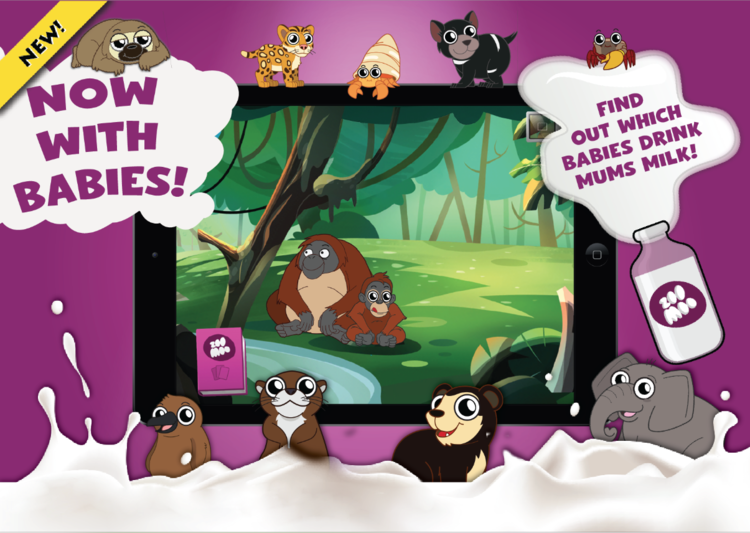 Collect new animals by playing with the app or watching ZooMoo TV. Run the ZooMoo App to collect content from the television using ZooSync technology - no downloads or wifi required! The app includes a Parent's Page packed with information about collected animals to help parents engage with their children, talking and learning together. There are no high scores, time limits or stress - your kids can play and learn at their own pace. It's completely free, no in-app purchases! 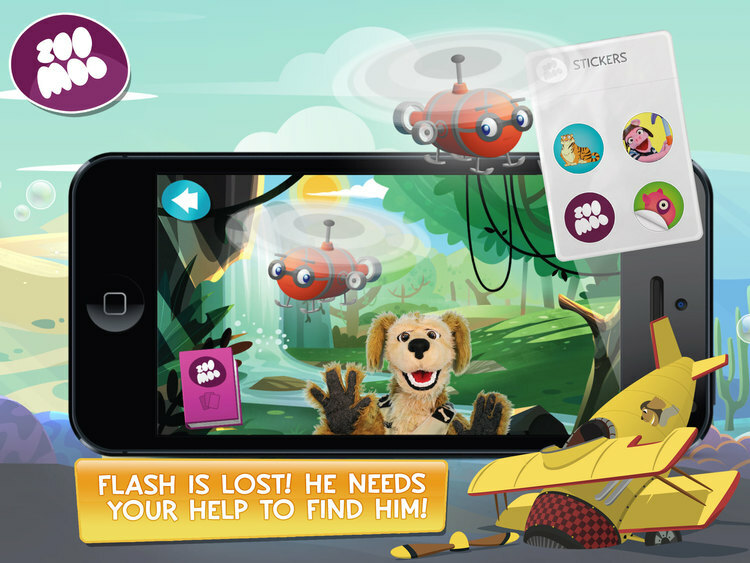 The ZooMoo App listens to ZooMoo shows, and then unlocks fun new content! Want more? There are more ZooSync enabled clips on the Videos page. NEW! Look after 16 babies! NEW! Collect a 'Milk' card, find out which babies drink mums milk! Collect food and feed your animals. Watch real life videos of each animal. Learn about scarcity and be able to identify common, rare or endangered animals. Collect the 'soap' card to keep animals sparkling clean! Some animals use mud like a sunscreen – a 'mud' card is now available! Collect the 'friend' card and create friends for animals. Learn about eight habitats while exploring ZooMoo Island. Move animals around and pose them for the perfect snapshot. Photos are saved to your photo album so you can share photos with family and friends. Built-in "Parent's Page", including hundreds of facts about collected animals, and stats on gameplay! No rules or stress - play any way your kids want to!